Thoughts that produce positive emotions emit high vibrations; thoughts that produce negative emotions emit low vibrations and make work a whole lot harder than it has to be. 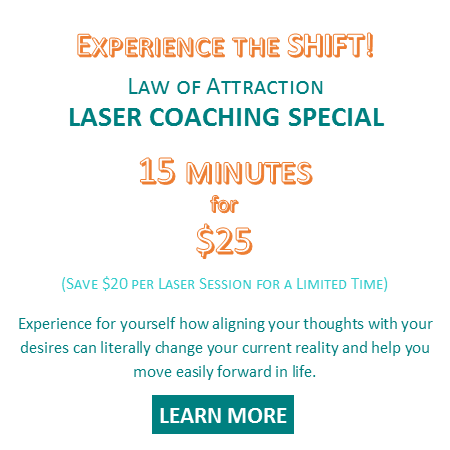 As energy, our thoughts produce vibrations that go out into the Universe – the workplace, the organization, the marketplace, the community – and attract more of the same or similar experiences back to us. Like attracts like and thus “what is” tends to continue to be. This the reason that for some, the better it gets the better it gets while others stay stuck on that proverbial hamster wheel with never enough of what is needed most. Great article and questions that help you dig a little deeper into your purpose. Ultimately, our purpose is joy. 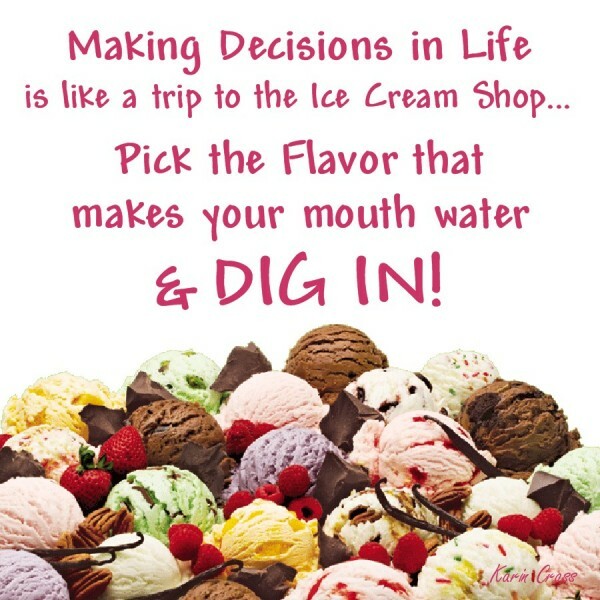 Your job is to determine what brings you the most joy in life and to then follow the path that leads in that direction. 3 Quick Questions for Finding Your Life Purpose | Vivid Life. 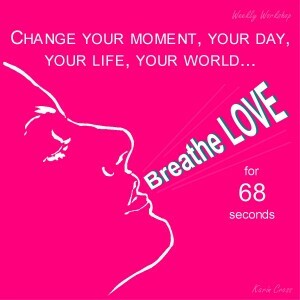 Recently, I’ve noticed 5 and 10 day gratitude challenges circulating around Facebook. I’ve enjoyed reading some of the posts and thought it a bit humorous when a few began to grumble about running out of ideas to jot down on their lists. 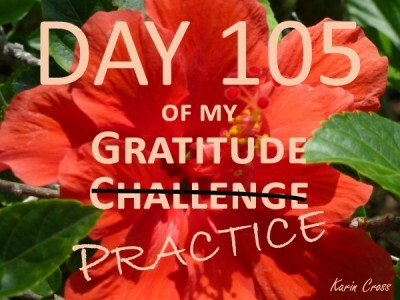 Since today is my 105th consecutive day of writing 10 DIFFERENT “things” each day for which I am grateful, I thought I would share how this practice of gratitude has changed my perspective and my life. 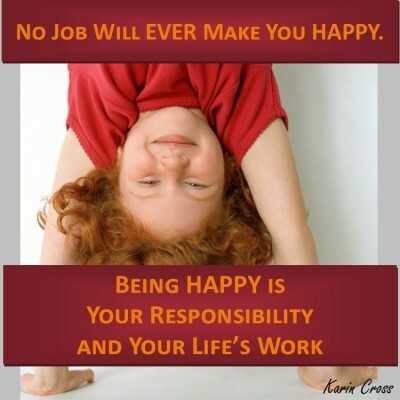 No Job Will EVER Make You Happy! If you’re unhappy at work, frustrated because you can’t find that perfect job or angry at co-workers or bosses who are ruining your life at work, I have some wisdom to share…You’re looking for “love” in all the wrong places. Our happiness at work, and everywhere else in life, is 100% dependent on what we think about ourselves and whatever is going on in our current experience. Being happy is a choice that we make every moment of every day. The challenge is becoming aware of our thoughts and then consciously choosing thoughts that cause us to feel better about ourselves and our work. Chances are, no matter what your current job is, you have the opportunity to fulfill your calling right now. 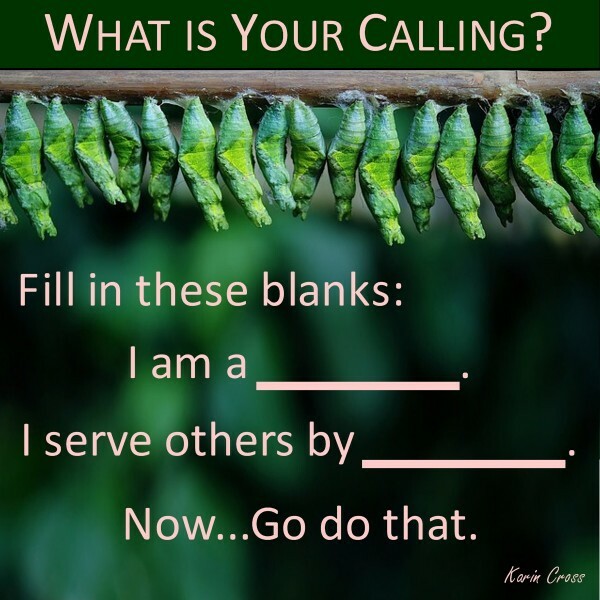 Many of us think that a “calling” is about a specific job or profession, and sometimes this is true. For instance, most artists – from musicians and writers to wood workers and painters – feel that they are called and well equipped (meaning they have the talent) to do and be that. I have always felt that these people are truly blessed to know exactly what brings joy to their hearts and to be able to then monetize it. For the rest of us “differently” talented individuals, our callings are a bit more elusive and can take us half a lifetime to figure out. It doesn’t have to be this way though. Our calling, or purpose, unfolds throughout our lives. It even changes depending upon our experiences and the opportunities that we dive into along the way. Our calling evolves just as we do over the course of our lives. This is a wonderful article about creating “balance” and joy in our lives just by doing a little mind works. 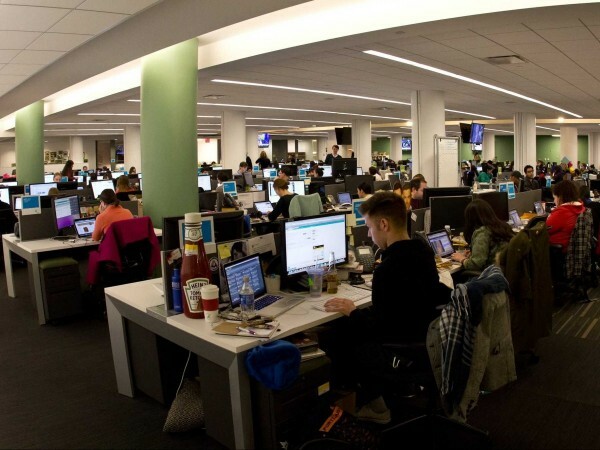 Mindfulness: A Key to Productivity at Work | 2014-08-05 | ePublishing. Even the best jobs cause stress, but meditation may be a tool people can use to mitigate its effects. In her latest book, “Real Happiness at Work,” meditation teacher and author Sharon Salzberg says workers can use mindfulness and meditation to improve their work lives. 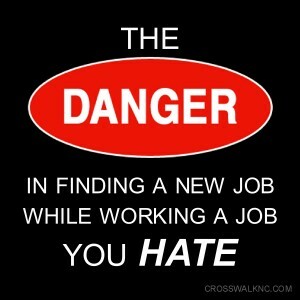 The greatest danger related to looking for a new job while you’re currently employed in a job you hate (for whatever reason) is that you are very likely to end up right back in the same situation, just at a different location with different characters. Why? Because like attracts like, and your negative energy cannot attract anything but similar people and experiences into your life.